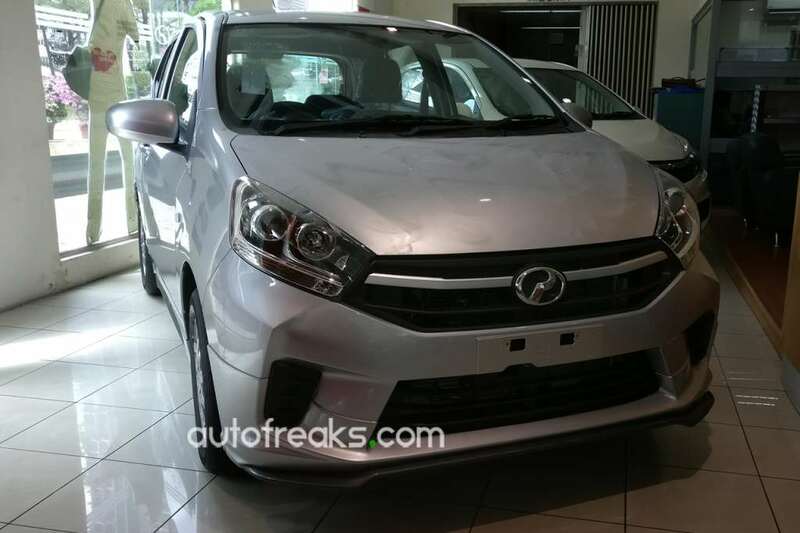 2017 Perodua Axia detailed ahead of debut! 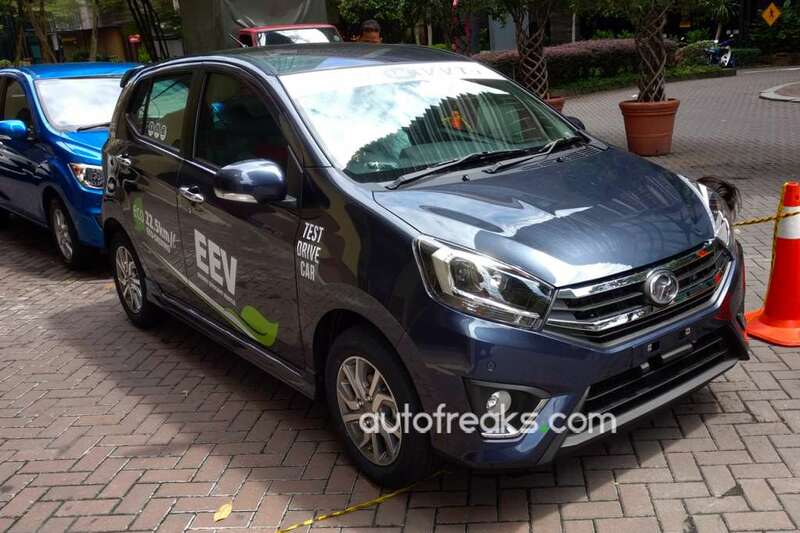 The facelifted Perodua Axia is quietly finding its way to showrooms nationwide and here on AF we have photos of the new model up close and personal! 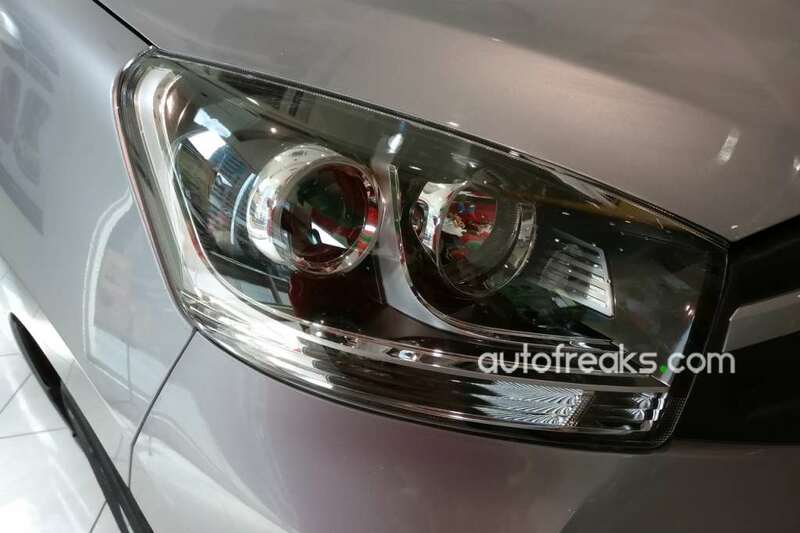 First up is the revised front end. 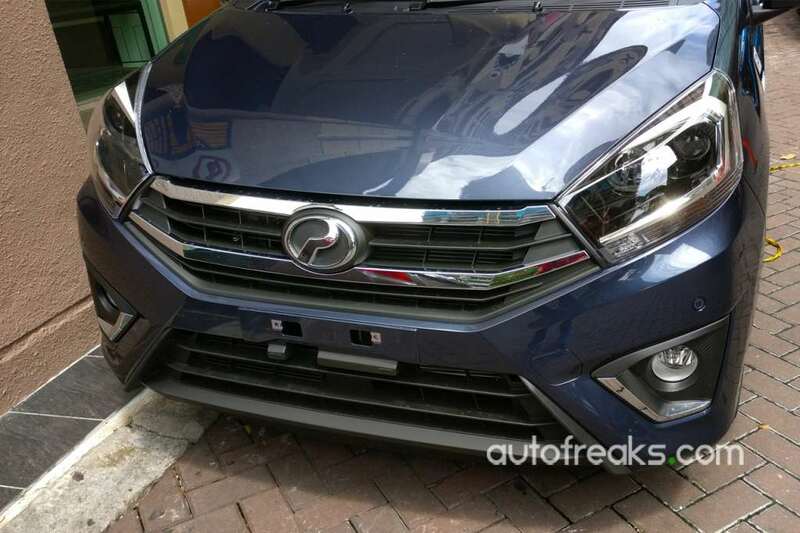 It comes as no surprise that the updated Perodua Axia sports a Honda Jazz-inspired front end for the SE and Advance variants, but we now notice some subtle details. 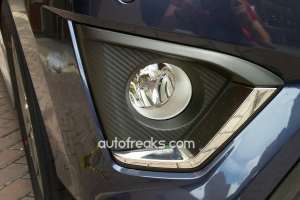 For example, the fog light surrounds are finished with a carbon fibre-like pattern with a chrome insert. 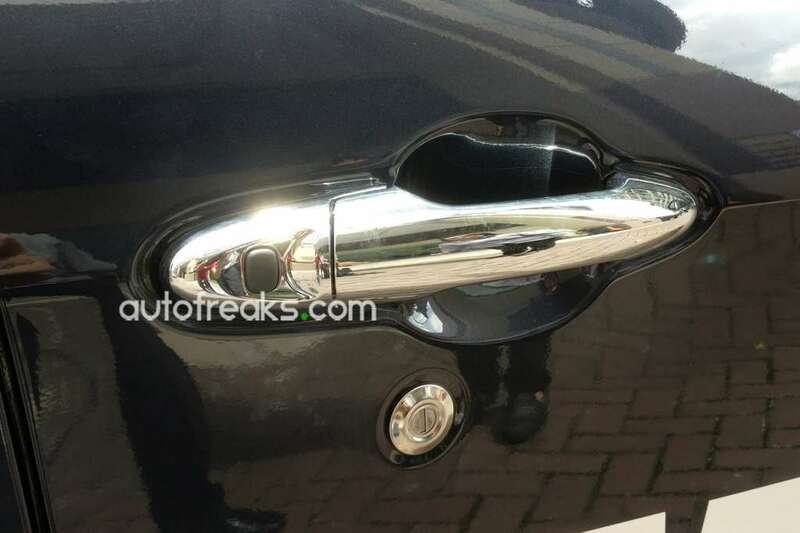 The chrome door handles are also new, now with a button to lock and unlock the doors without taking out the keys. 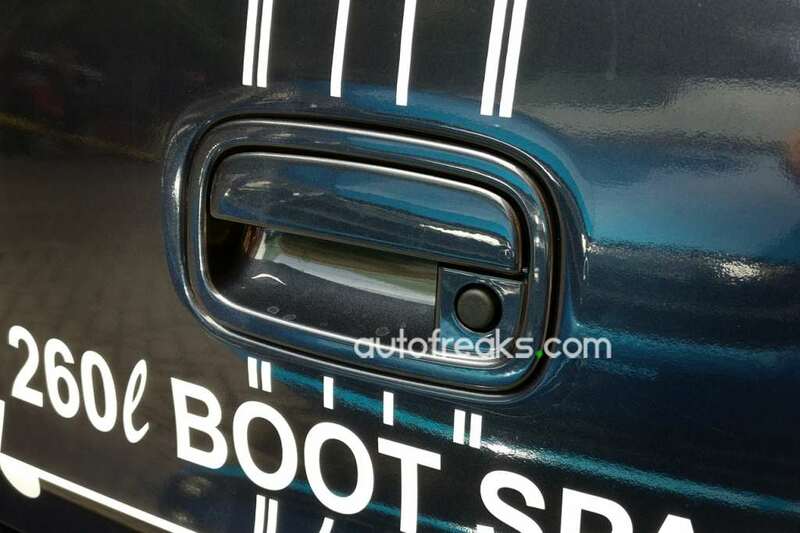 The rear end also sees the integration of a new handle for the boot, also with a easy access button to unlock the boot. 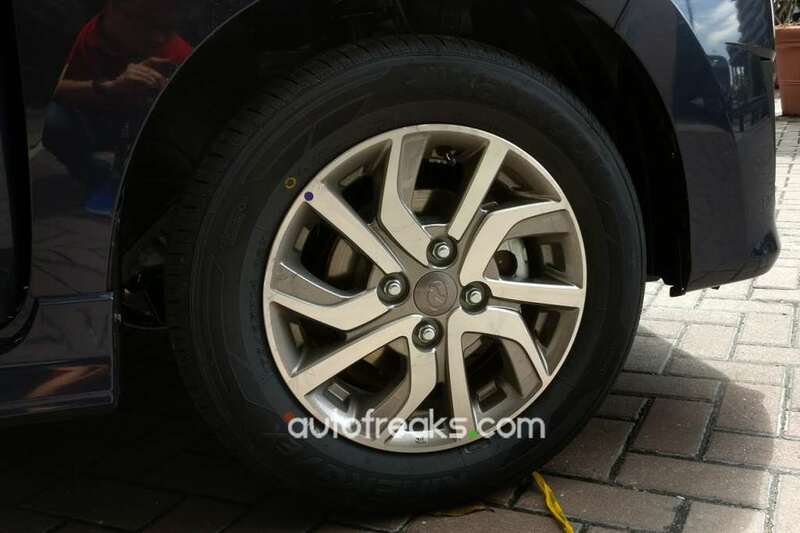 Perodua has also fitted wheels from the Bezza to the Axia facelift. 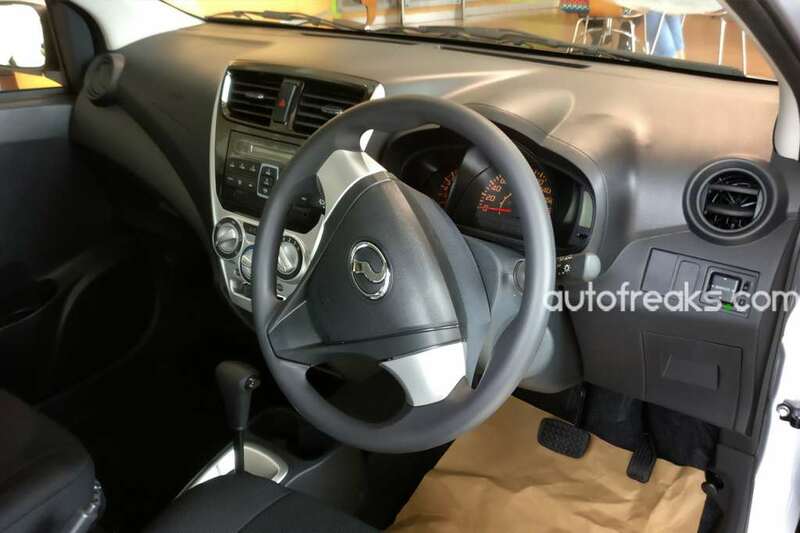 Perodua has also reworked the interior. The range-topping model, as pictured here, gets a push start button in conjunction with the keyless entry system. Beside that is the toggle for the front parking sensors, which was previously switched on by default. 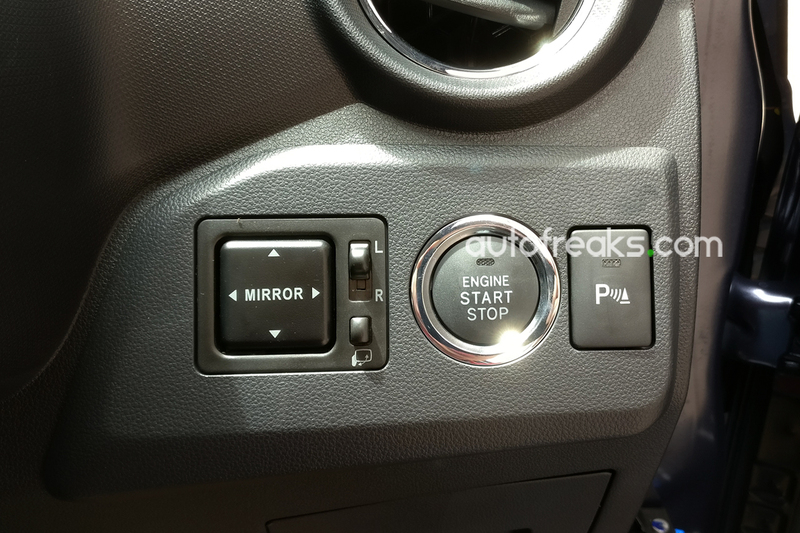 The wing mirror adjustment can be found towards the left of the push start button. Elsewhere, the leather steering wheel remains unchanged, though the red stitching has now made way for a new white coloured stitch. 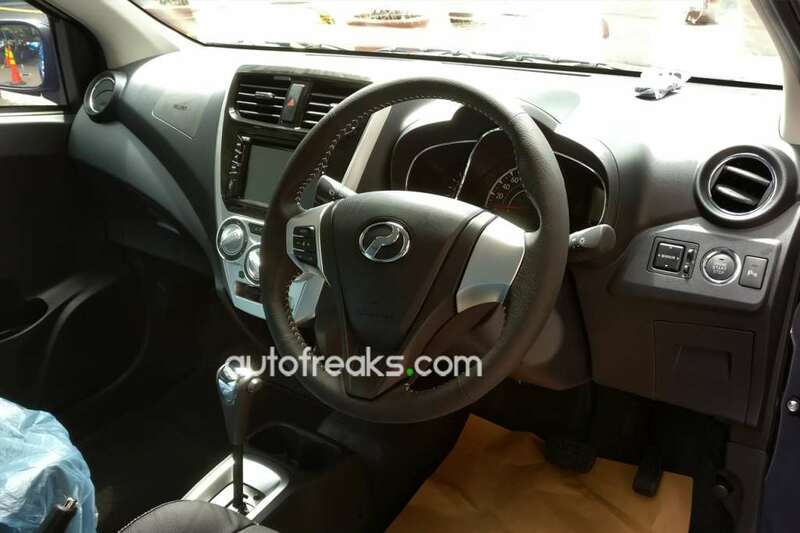 The meter cluster is also new for the Axia. 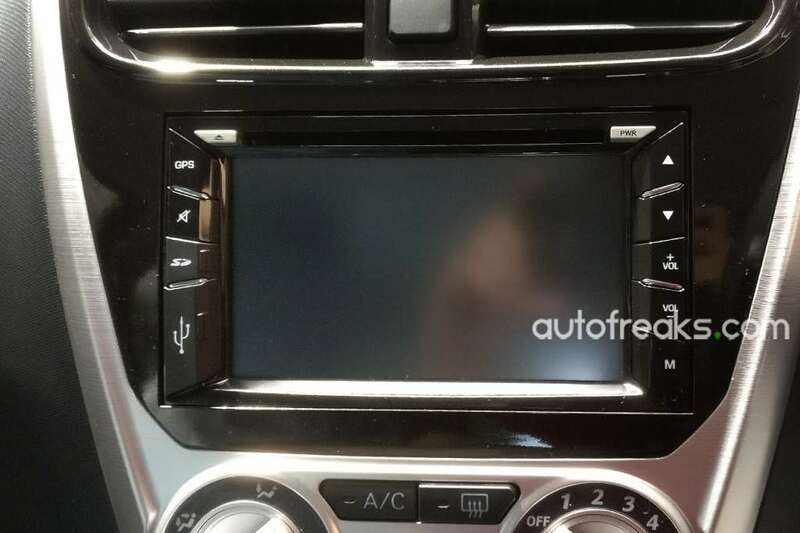 Last but not least is the updated head unit with Perodua’s Smart Link connectivity. Changes are similar for the Axia 1.0 E and G, with both models now offering projector headlights as standard fitment, replacing the outgoing model’s reflector units. 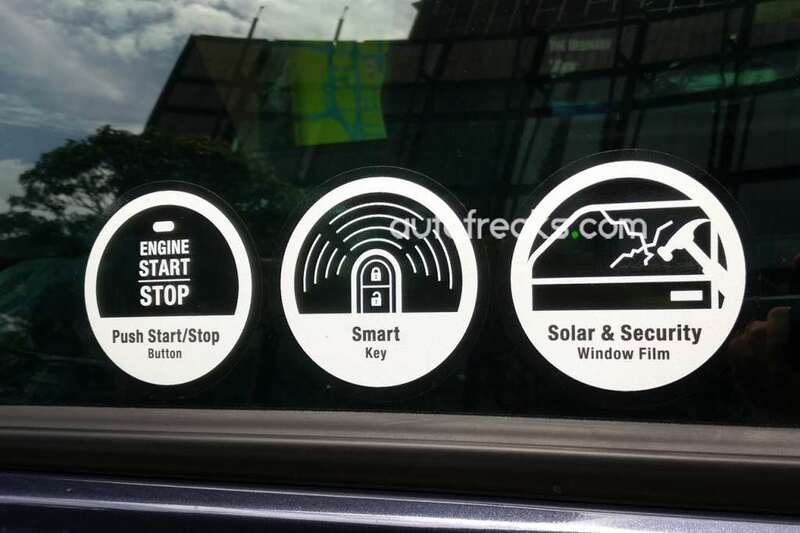 Bumper design has also been refreshed. Towards the rear end, the entry-level models get a simpler boot handle without the keyless entry button. Interior changes are also insignificant, if any. 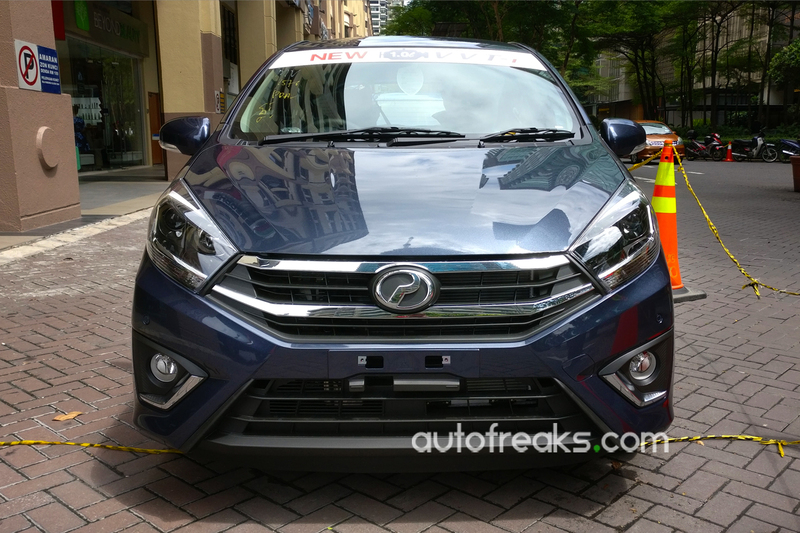 Under the bonnet is the same 1.0-litre 1KR-VE three-cylinder engine with VVT-i as the Bezza 1.0, which Perodua says is able to deliver up to 22.5 km/L. 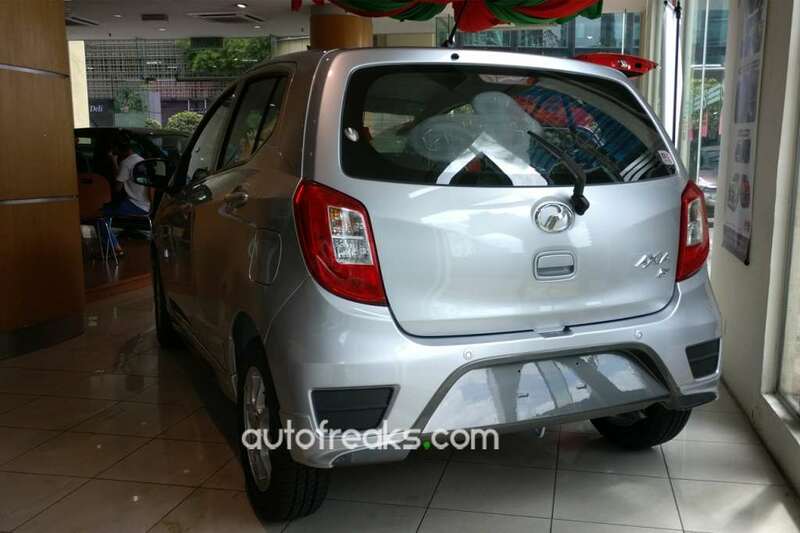 The Perodua Axia is expected to be offered with a four-speed automatic or a five-speed manual, though the range-topping Advance is likely to return as an auto-only affair. 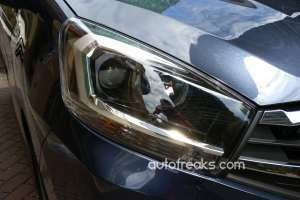 Safety is expected to be similar as the outgoing model. 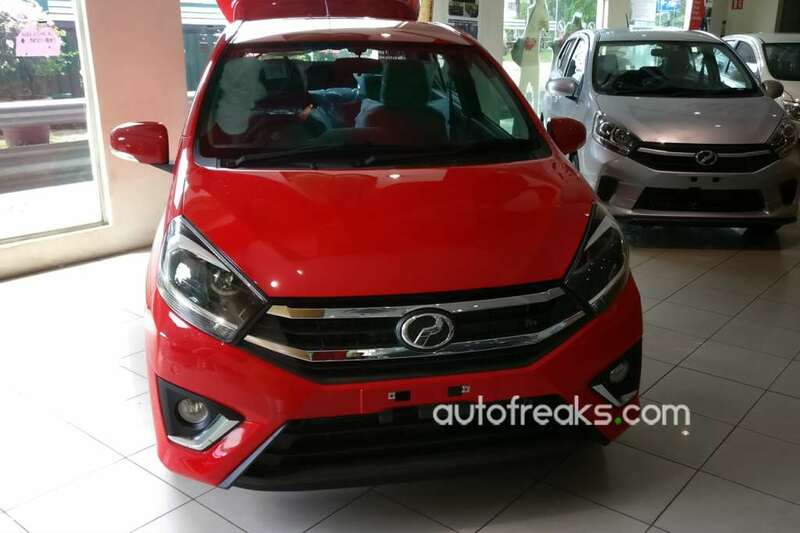 In terms of pricing, we understood that the Perodua Axia facelift will see a slight increase in price compared to the predecessor.